Magnificent Ocean and Mountain Views with a 60 ft Waterfall! Price: US$1,499,000 Reduced to US$1,199,200 20% OFF! Price: US$1,200,000 turn-key move-in ready! 178 Hectare Land for Development in Quepos! Investment Land for Sale Right in Jaco Downtown! Lake, Views, Forest, 235 acres of nature everywhere! Outstanding Residence in Faro Escondido, Pacific Coast Finest Living! Over 100 Acres of 100% Guanacaste oceanview land for sale! Exquisite Beach Condominium in Playa Hermosa, Guanacaste. Prices from: less than US$100,000! 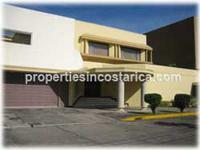 Astonishingly Great Location, Escazu High End Living at a Fantastic Price!